The beautiful city in southern France received nearly half of its annual rainfall within a few hours (!). 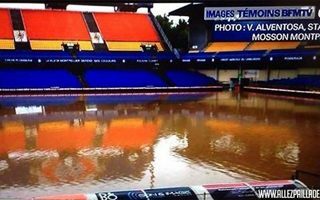 One of the buildings hit most is the Ligue 1 stadium, lying beside a small river. 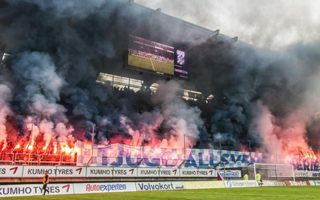 If you look at the media discourse, pyrotechnics inside stadiums are a major threat. 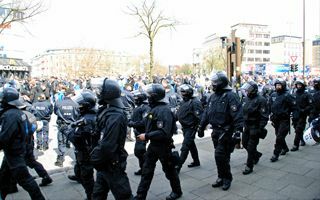 But if you look at how fans and authorities discuss the issue, legalization may be closer than ever, according to Sydsvenskan. 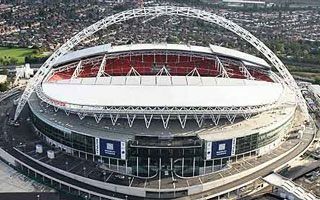 Partnership with mobile giant EE brought the first major change to Wembley since its naming rights deal. 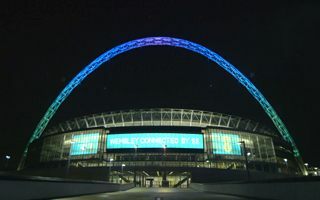 The stadium’s massive arch was equipped with hundreds of LED lamps to create a stronger image. 29.09.2014 Rotterdam: Who will cover extra cost of Feyenoord’s project? 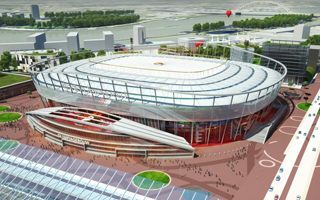 Politicians in Rotterdam have told Feyenoord that it may have to come up with the millions needed for the extra land that construction company BAM needs to rebuild De Kuip stadium according to their measurements, De Telegraaf reports. 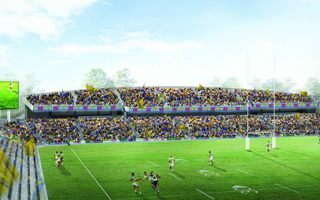 The Parramatta-based Pirtek Stadium will receive 4,000 more seats in a thorough redevelopment aimed at bringing it to latest standards. 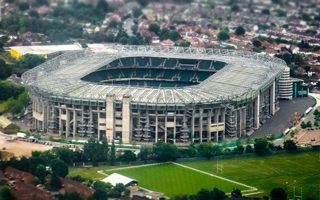 29.09.2014 London: Chelsea to share Twickenham once revamp starts? 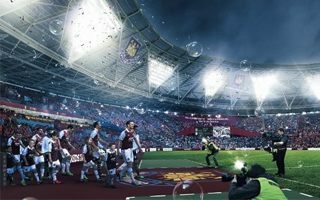 Premier League’s largest stadium again in London? That’s possible if Chelsea leave Stamford Bridge for Twickenham. 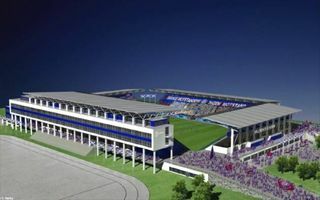 The stadium’s operator confirmed interest from The Blues. 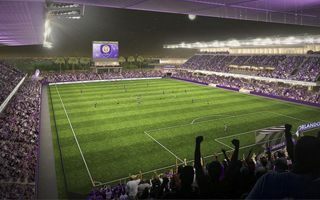 A ceremonial groundbreaking for Orlando's football-only stadium will take place October 16, Orlando City SC and the city announced on Friday. 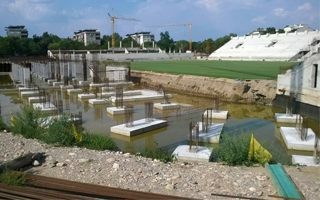 After the owner and main investor was arrested, all construction work seized at Stadion Hristo Botev. 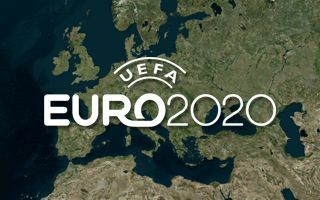 Now works are resumed, but completion is still at risk, according to insideworldfootball.com. Ahead of today’s derby Arsenal manager confirms there is no other way for Tottenham than a larger stadium if they want to be successful. That said, he also warns that it’s a huge challenge and a burden for years. 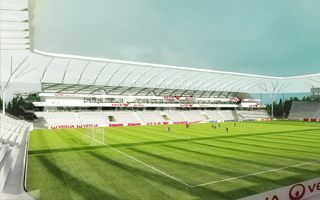 Today the very last consultation meeting took place ahead of Gerhard-Hanappi-Stadion demolition. 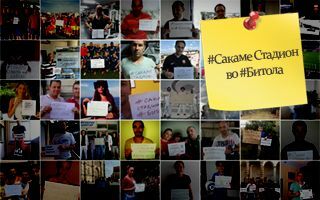 The project has green light, now supporters are invited to take whatever they want. 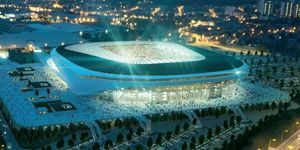 Though already among the world’s most expensive, the Olympic stadium in Sochi will cost a whopping RUB 3.5 billion more as redevelopment contract is awarded, Kommersant informs. 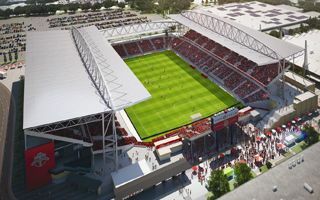 Canada’s national football stadium will soon change. And really soon, within half a year 8,400 new seats will be added. Then in 2016 it’s going to turn into a really “Euopean” building. 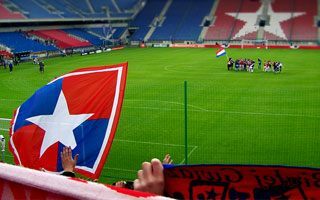 25.09.2014 Oslo: Vålerenga celebrates, they can build now! 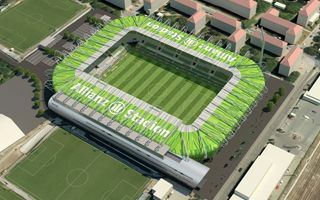 Officials and supporters were ecstatic on Wednesday evening, when the club was granted ownership of the entire plot for their new stadium. This ends years of anticipation and campaigning. 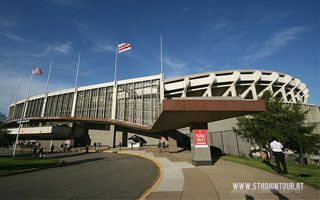 Another interesting football-specific stadium in the US? 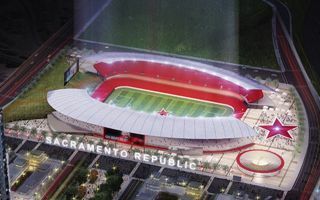 This time in Sacramento, where the sensational Republic hope to grab the last vacant MLS spot. The latest addition to NCAA stadium list has just arrived at StadiumDB. 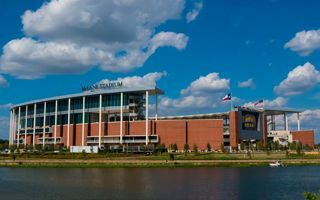 While Texas may seem a conservative state, the McLane Stadium resembles some European venues rather than classic NCAA grounds. 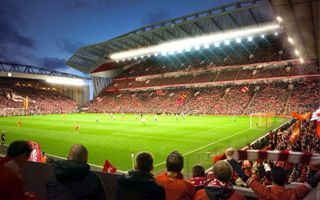 Despite a last-minute attempt to delay the decision, city council planning commission approved Liverpool FC’s planning application. 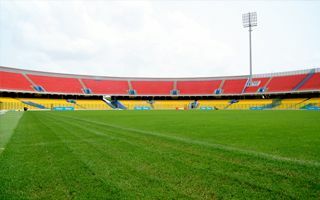 The main stand may now be expanded, but some residents call for compensations. 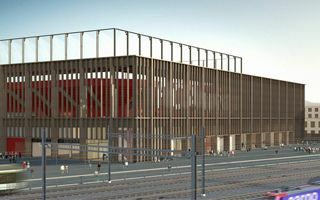 23.09.2014 Milan: Rossoneri changing their future home site? 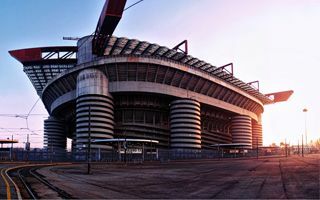 The Italian “Tuttosport” newspaper informed that AC Milan are reconsidering the site for their new stadium. Instead of Expo 2015 site, they would go south-west. 23.09.2014 Madrid: €500 million for “Abu Dhabi Bernabeu”? 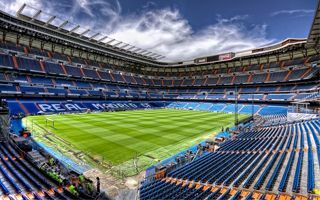 The Emirates’ royal family is reportedly interested in naming rights for Santiago Bernabeu. The deal could be worth up to €500 million over two decades. That’s enough to revamp the stadium. And an interesting one, perhaps the most bold to date. 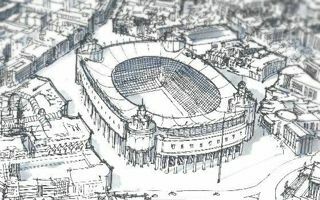 While there’ve been a few proposals already, this is the first to suggest an 80,000-seater at the heart of the city. 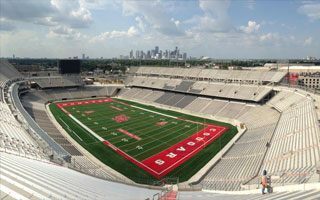 Hardly any country can show stadiums built so cheap and fast. 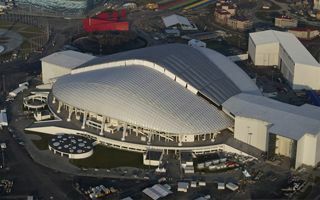 Hungary’s governmental sports infrastructure program is speeding up with a new 15,000-seater. Both were first announced in 2006, both required budgets of under TRY 200 million. But one was built for a great and popular club, while the other for a team that has barely any followers. 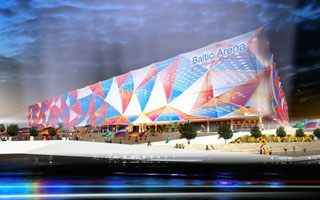 18.09.2014 Poland: Unique month for Narodowy, look at these events! 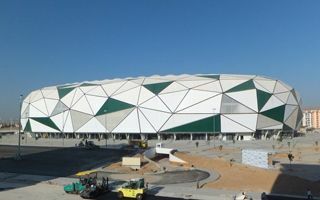 In 5 weeks the Polish national stadium saw events that were never combined in one building before. From football to athletics, then volleyball and even windsurfing – one after another. 18.09.2014 Ghana: Another tragedy waiting to happen in Accra? It’s only been 13 years since Africa’s most shocking stadium disaster. 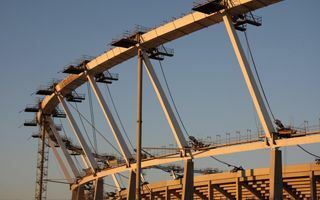 Now that very stadium is called a “death trap” by supporters, who are appealing to authorities to take action immediately. Postponed several times, this time the opening finally happened. And had to satisfy fans – full stands, vibrant atmosphere, and impressive victory in season opener. 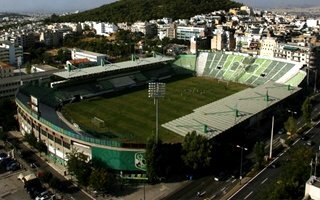 17.09.2014 Athens: No redevelopment for Panathinaikos? 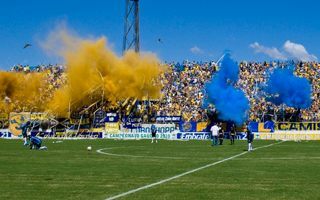 The famous Greek sports club has been denied public funding for a significant renovation of its dated stadium. 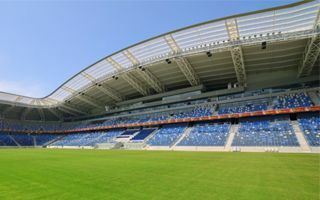 According to GreekReporter.com the club is in a difficult situation in terms of future stadium. 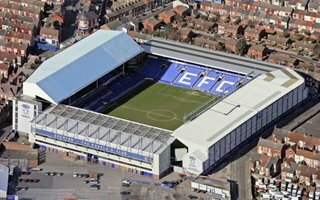 The Liverpool derby won’t be the same if Everton succeed in their bid to move 2km north, to Walton Hall Park. 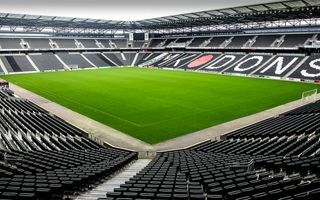 The club confirmed its ambitions and a planning application may be due within a year. 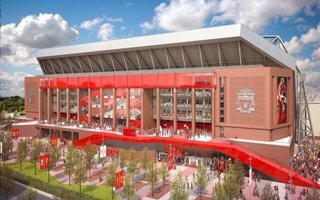 A week before the crucial City Council vote, city planning committee recommends accepting the plans for Anfield redevelopment. The vote itself seems a formality despite significant opposition among residents. 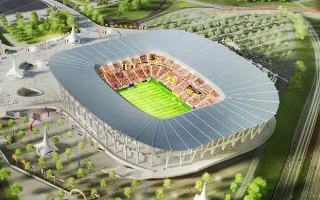 One of Europe’s largest unfinished stadiums will finally see works restart next week. The Silesian Voivodeship contracted German company Pfeifer for the job. 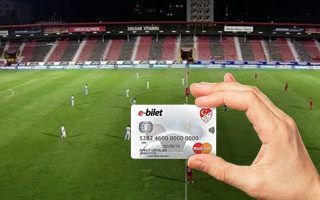 This stadium should not be approved for professional use by players and fans. But it is, because there’s nothing better to host games. No wonder the outraged fans have been appealing for changes for a year. 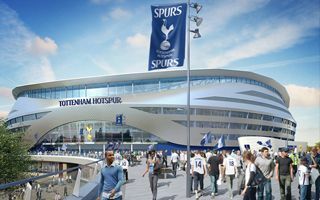 Tottenham Hotspur need to find a temporary home for the 2017/18 season, but the task isn’t easy despite London’s numerous stadia. In fact, the most viable option may be located in Milton Keynes. 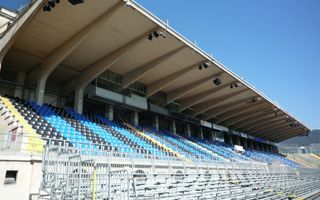 Atalanta president assures the city that his club will redevelop the stadium without public support. But first they need to get hold of a 99-year lease from the municipality. 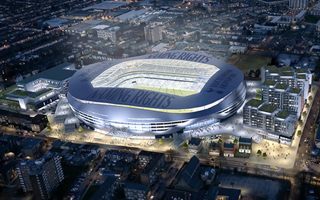 The club confirmed what many fans already knew well – opening the new stadium in time for the 2017/18 season is “extremely unlikely”. Archway again refuses to relocate. 10.09.2014 Germany: Construction in Erfurt to be launched soon? 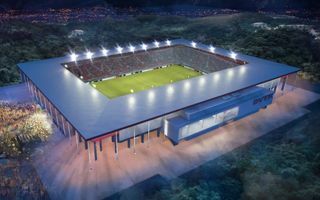 Rot-Weiß Erfurt confirmed they are slowly moving out of their current home, because it’s expected to become a construction site within the next few months. Then a 21,800-capacity arena will be built. 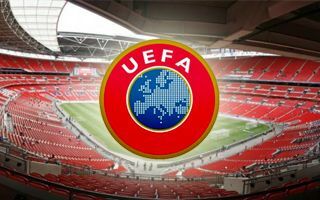 10.09.2014 England: Flooded stadium to have replacement after nearly a decade? 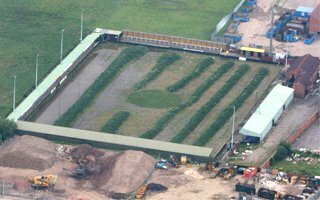 It’s been 7 years since the flood destroyed Meadow Park in Gloucester. Host club launched a planning application to see a new stadium built in the very same spot. But elevated to prevent a repeat. 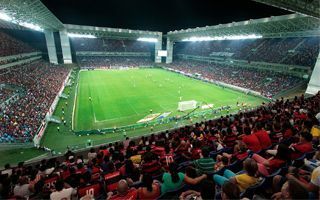 After excitement of the World Cup let’s take a look at three of the smaller and less impressive stadiums in Brazil. But the “less impressive” part works only when they’re empty. Because full these are stunning! 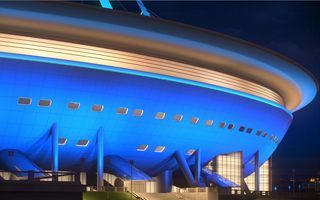 The largest new stadium to be built in Russia since 1980 will have impressive nighttime lighting. Its final shape is yet unknown, but the price shows its scale – nearly 450 million rubles. 08.09.2014 London: Who will fit-out Olympic Stadium’s hospitality? 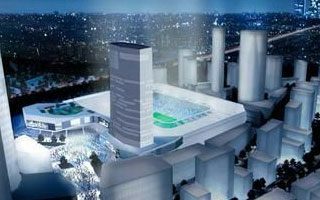 The tender begins to deliver Olympic Stadium’s new hospitality areas. Altogether over 8,400 sqm of corporate facilities is planned. First phase to end in mid-2015, final one in mid-2016. 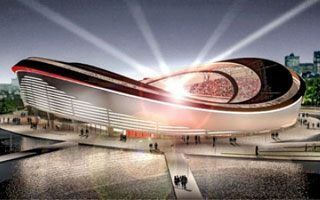 AS Roma reached a crucial agreement with Rome mayor. 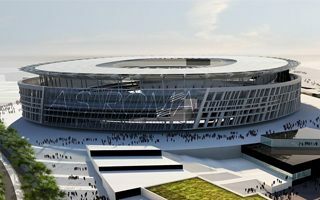 Ignazio Marino greenlighted the development, though it’s not the end of Roma’s road towards groundbreaking. Opening in 2017? After 15-month-long ordeal a happy ending happened yesterday in Coventry. 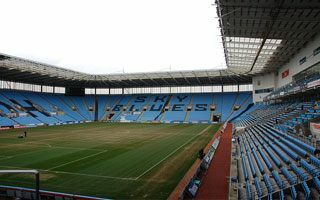 City won their first game home at Ricoh Arena and were watched by a stunning crowd of over 27,000 people! 05.09.2014 London: QPR launch consultation on stadium, but where would they build? Queens Park Rangers officially began public consultation, a process that will go on for months ahead of detailed stadium plans. Yet the club seems to be unlikely to get hold of land they want to build on. The 53-year-old stadium in Washington brought fear and media attention as chunks of concrete fell right in front of the press section during football game. Renovate or demolish? Support for the second option is growing. 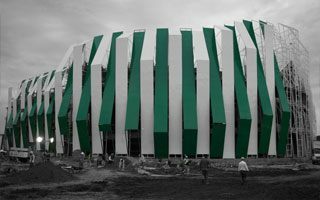 There’s good and bad news coming for football fans in Poland in 2015/16. 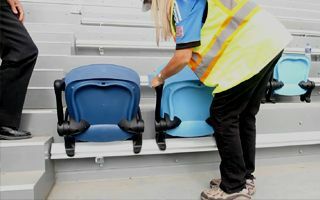 On the one hand safe standing areas will return to stadiums. On the other, new banning orders will make going to games a real mine field for some. 04.09.2014 London: Olympic Stadium’s new roof more expensive? 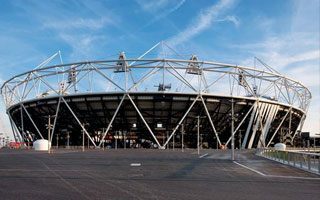 Sky News reports the conversion of Olympic Stadium’s roof will cost £15 million more. This would bring the total price tag beyond £600 million and that’s hard to bear for many critics. 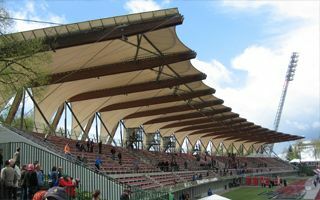 In 2013 the stadium was first opened as an intimate football-specific ground. When expanded, it will receive a real scorpion’s tail, even ending with a stinger. 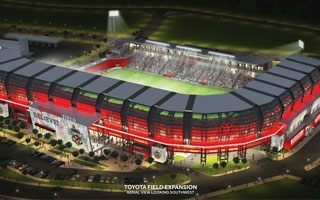 Very fitting for the home of San Antonio Scorpions. The latest addition to StadiumDB won’t stun you. It’s not even a premium addition to the university football leagues in USA. But at the price of $105 million it looks like really great value for money! 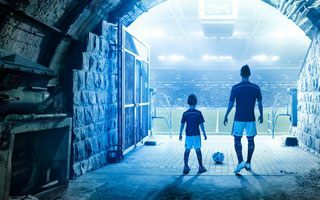 The Ruhr club want to remind their players of mining traditions and intimidate away teams with their dark tunnel leading to the pitch. It would have been a gem of the 2016 Africa Nations Championships. 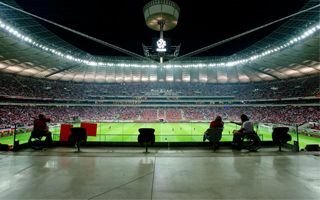 But a brand new 40,000-seater was put on hold as delivery in time for the tournament proved impossible.